Stunning drapery and hanging crystal chandeliers transformed the Pelican Hill Resort ceremony area into an oceanfront bastion of elegance. Coordinated and designed by Pink Rock Events, with florals by Nisie's Enchanted Florist. The decor was so complex that the design team started its work at midnight the night before the event. 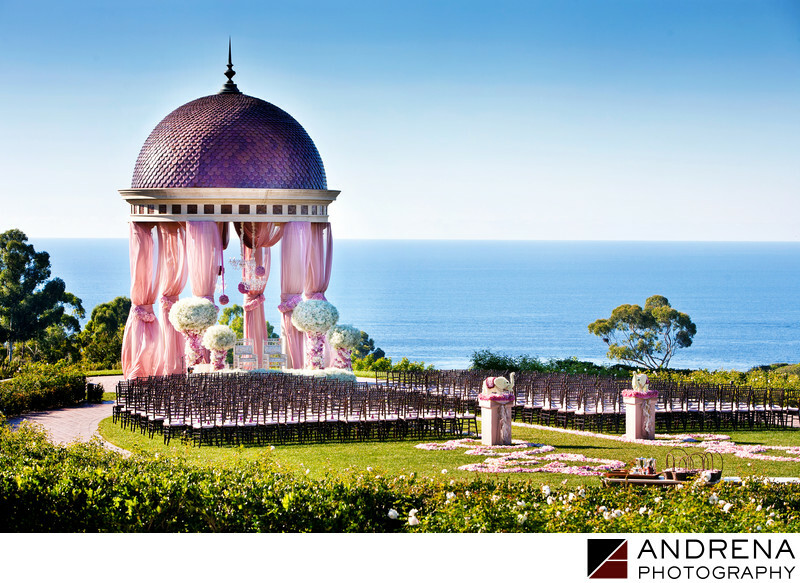 This wedding was published in Grace Ormonde Wedding Style magazine.